Life is messy, but that’s what makes it fun. Your home is a place where you can relax, play and live. It’s not where you have to worry about scratches, dings, and messes. 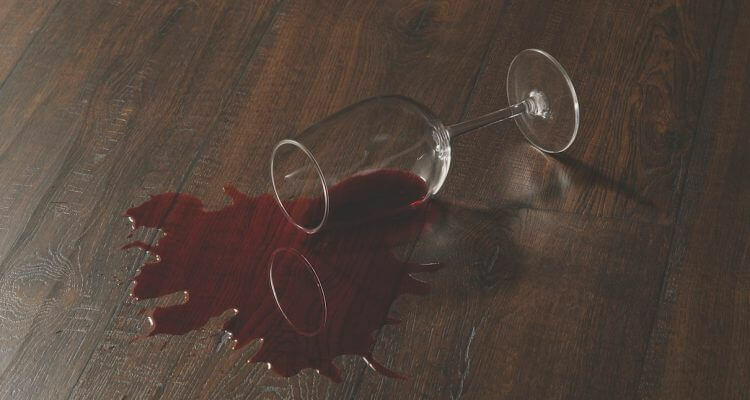 You should be able to enjoy a glass of wine in the living room without worrying about your flooring if it spills. Homes are meant to be lived in, but liquids can be a real problem. 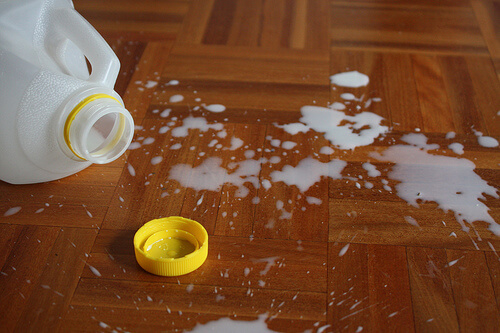 Whether you have kids or pets or you’re just a bit clumsy from time to time, it’s next to impossible to keep water off your floors. From spills to accidents to leaks, the damage can range from something that can be wiped up with a paper towel to a more stressful situation. But just because you’re worried about water, doesn’t mean you should sacrifice having the beauty and drama that wood flooring brings to your home. Uniclic® Locking System: Make cleaning up spills easier and keep liquid out of your floor’s joints with this unique flooring system. Uniclic® is the tightest, strongest joint on the market. GenuEdge™ Technology: Unsightly edges are a thing of the past, thanks to this technology. The colour of your floors rolls over the edge and into the bevel. GenuEdge™ also keeps water out of the joint and core, protecting your floors further. HydroSeal: Keep water out of the core of your floor with this water-repellent edge coating. 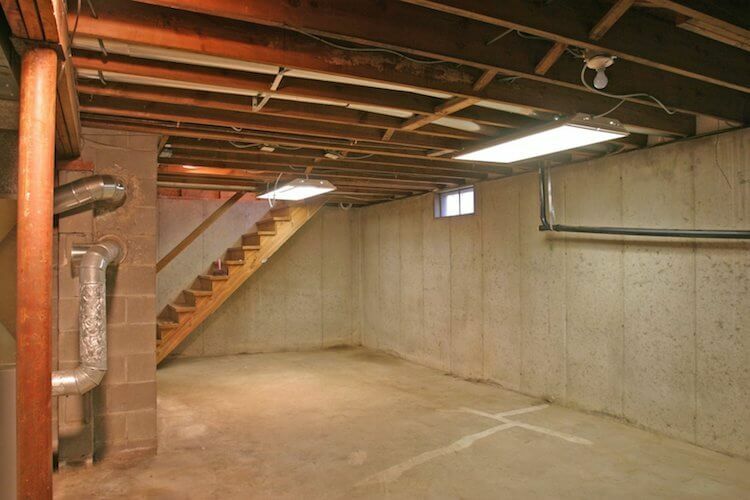 There’s no avoiding it, basements are prone to excess moisture. They can be a very damp environment, making them vulnerable to water damage. This is why for years homeowners have opted for carpet in their basements. But that’s only because there was never a waterproof flooring option. With TORLYS Envique laminate, the process of making your basement flooring waterproof starts with manufacturing and continues through to the installation method. 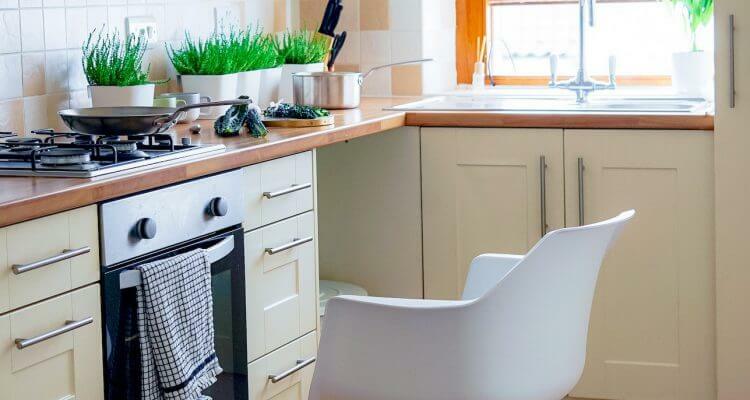 Let’s face it, kitchens get messy. But you shouldn’t have to sacrifice a beautiful floor just because you’re worried about it getting ruined. With TORLYS Envique laminate flooring, your kitchen floor is safe from whatever may fall its way. Chances are your laundry room flooring isn’t something you take a lot of pride in. You might have your washer and dryer tucked away in the basement or hidden behind closed doors. 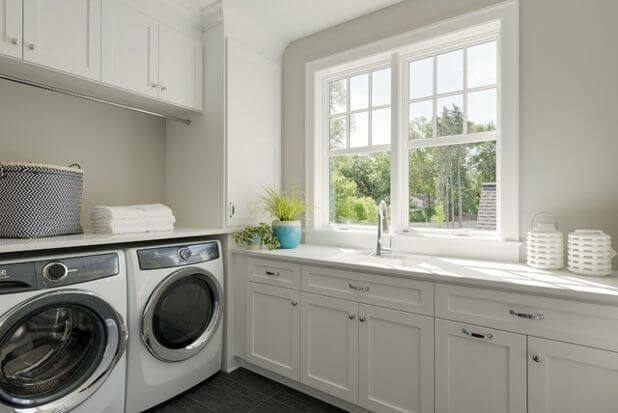 But what if your laundry room could be as beautiful as the rest of your home? 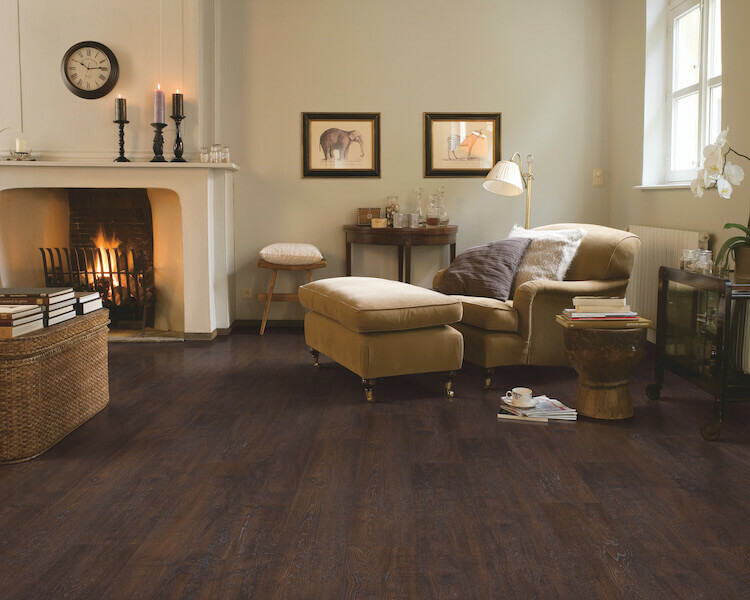 No matter what part of your house you wash, dry and fold in, TORLYS Envique laminate flooring can bring a touch of beauty to any space. Have you ever thought about having the beauty and drama of wood flow from the rest of your home right into your bathroom? Perhaps not, but that’s likely because it’s never been an option. Bathrooms are synonymous with moisture. From humidity resistant paint to caulking to keep water where it’s supposed to be, bathrooms are designed to get wet. With TORLYS Envique laminate, your bathroom floor can have the look of wood, while still being completely waterproof. The full waterproof effect is due to the flexible and waterproof seal on the edges that prevents water from getting under the floor. 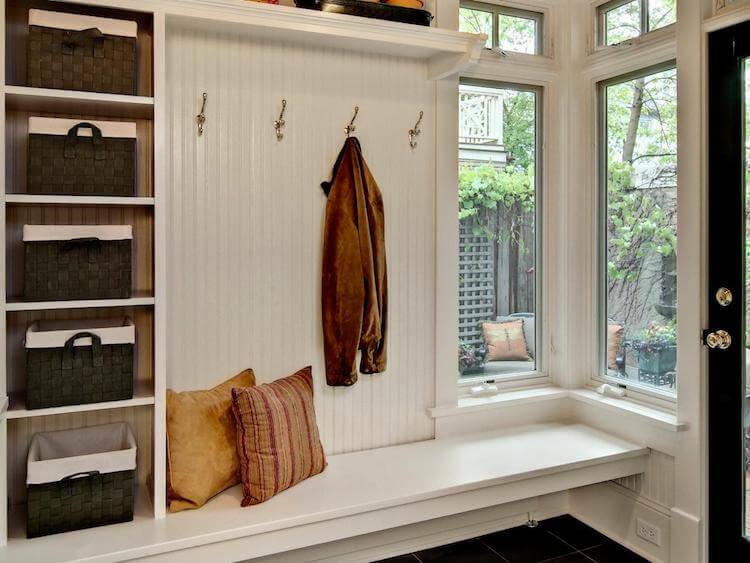 From rain to slush to snow, your mudroom or entryway has to be able to handle whatever mother nature throws at it. It’s also likely the first space your guest sees when they enter your home. But just because it’s home to messy shoes and boots and umbrellas, doesn’t mean it can’t look stunning. Now you can enjoy the look of wood throughout your entire home, including your entryway. And with TORLYS Envique laminate, you can cover up to 50’ x 50’ without transitions, even in doorways! Traditional laminate floors don’t handle moisture well. When the laminate gets wet the high-density fibers that make up the core absorb the water and cause the planks to swell. Unfortunately, this swelling doesn’t go away when the floor dries. When a laminate floor gets wet and swells, your only option is to replace it. Depending on the severity of the damage it may just be a simple plank replacement. But in other situations, the entire floor may need to be replaced. 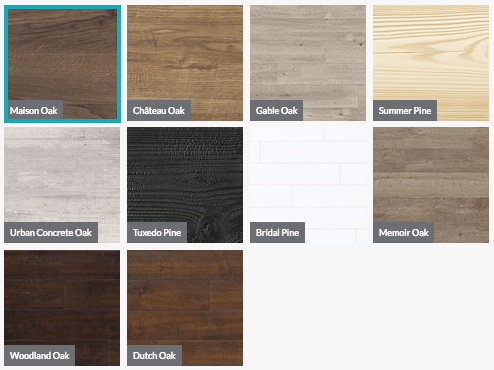 TORLYS Envique laminate is changing the laminate landscape, giving you more flooring options than ever before for every room in your home. Each luxurious, ultra-realistic 12mm plank features authentic looks with a surface colour design that rolls over the edges. Now you can have it all. No more choosing between form and function. 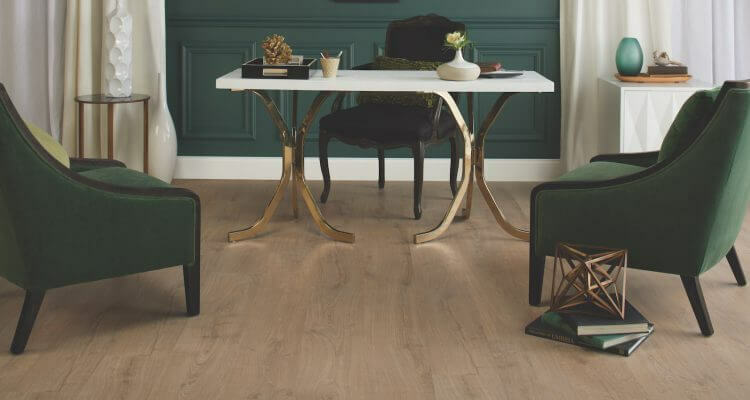 Envique laminate marries the beauty of wood with waterproof flooring solutions, so you can enjoy the warmth and luxury of wood throughout each room in your home.